At Bookmans, customers are always welcome to bring their pets inside our stores (on a leash) and employees’ dogs can often be found roaming our corporate offices. We advocate for supporting local rescue organizations and volunteering for Arizona shelters. As a company of animal lovers, we celebrate Animal Welfare all year long. But each July, those lovable four-legged, feathery, scaly and fuzzy friends take center stage. This month, help us celebrate our favorite pets, whatever species they may be. We’re bringing the best and brightest local animal rescue organizations together to emphasize our commitment to critters of all shapes and sizes. Stop by your neighborhood Bookmans throughout July to check out local animal welfare groups and meet adoptable creatures great and small. Take a look at our Event Schedule for details on what’s happening near you! There’s an action-packed schedule of animal awareness events from the Coconino National Forest to the Valley of the Sun to the heart of the Sonoran Desert! Check out what’s happening at your favorite Bookmans location. Bookmans Flagstaff partners with friends at Museum of Northern Arizona to learn about local birds and wildlife at the Walk on the Wild Side Summer Kids Event. Don’t miss this Audobon adventure featuring hands-on activities and fascinating facts about the animal inhabitants of the Colorado Plateau. Bookmans Phoenix hosts local animal rescue organizations at Live From Bookmans: Pet Parade featuring the dashing Steve Conrad and the lovely Kehau Kuhi as cohosts. Come prepared to meet (and adopt) your new best friend! Bookmans Mesa hosts a reptile extravaganza with Rich Ihle Reptile Adventures. Also at Mesa, The Great Arizona Puppet Theater celebrates farm life with their production of The Little Red Hen. Bookmans Northwest gets creative with the Summertime Craftapalooza. Also at Northwest, meet up and coming stars of the Tucson lit scene at the Local Author Fair! Be sure to take home a signed copy of your new favorite book. 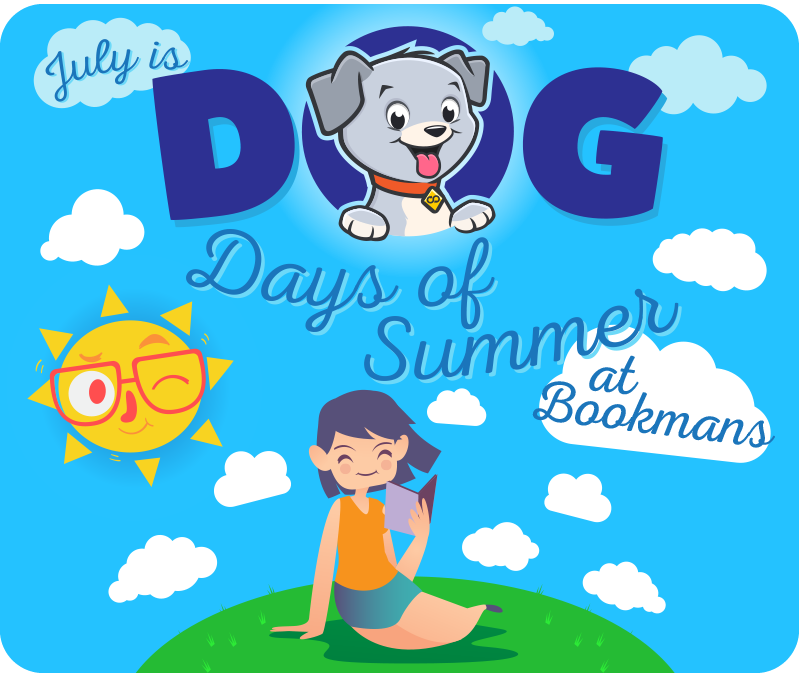 Bookmans Midtown hosts a Dog Days of Summer Pet Adoption and keeps it real with regularly scheduled animal rescue groups including HOPE Animal Shelter and Humane Society of Southern Arizona. Bookmans East hosts some awesome events including the Psychic Saturday & Local Art Fair, Science Saturday STEM Style, Saturday Super Smash and Underground Railroad. Also at Bookmans East, the regular rescue schedule includes Tucson2Tails, Southern AZ Golden Retriever Rescue, SARA Rescue, and AZ Greyhound Rescue. There are so many ways to keep pets happy and healthy this summer. Join as as we show our love for pets with a plethora of fun events. Stop by your local Bookmans this July for a great time with animal advocacy. For all the details, visit our online Events Calendar. We’ll see you soon!